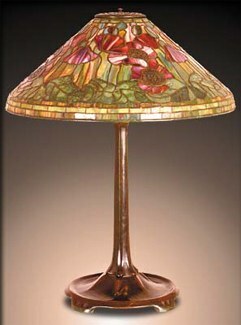 A nice example of a 20 inch cone shaded "Poppy" shade. The shade is model #1531. The shade rests upon a standard library base, on four short feet. The base model is #531.